Do you know that Africa is an amazing destination for your entire family? While there, your children get up close and personal with animals they see on their favorite cartoons. Africa is also a great place where kids can get in touch with nature and have fun as they learn about new cultures. Going on a family safari in Africa is probably one of the most exciting and rewarding family adventure holidays you will ever take. However, taking your entire family to Africa on safari is not exactly cheap, so you need to plan carefully to get the most out of the experience. Here are a few tips that will help you satisfy the needs of each family member. The peak safari period for most of southern Africa is May through November during the dry season. You get an opportunity to spot wildlife coming to water and the vegetation is significantly less. In addition, this period coincides with western schoolchildren’s summer vacation. The East African region is a great place you can visit any time. However, the peak season for Kenya and Tanzania family safaris is during the Christmas vacation period. If you are looking to watch the wildebeest migration, then plan your trip for between June and September. Make use of an online family adventure holiday planning websites to book for safaris during the rainy season. This allows you to spot more baby animals that your kids will enjoy watching. Plus, it’s a good way of making the Easter break even more interesting for your family! Having a great African safari experience for your family depends a lot on selecting the best destination. For example, South Africa is a great destination for families with young kids. Apart from having a huge selection of activities for the entire family, the country has excellent roads. Good roads mean that you can rent your own vehicle and enjoy the flexibility of having your own schedule. 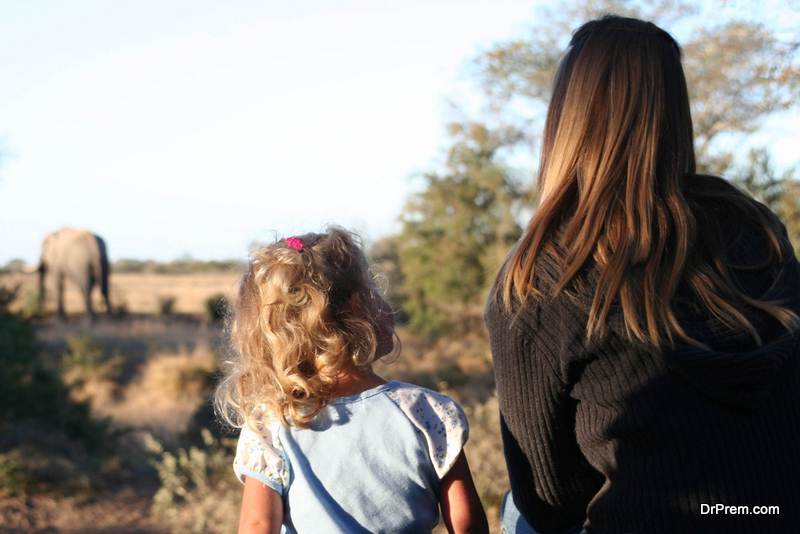 Flexibility is an especially critical consideration if you have small kids coming along for the safari. You can make stops when you need to, make your way back to the hotel when the children are tired, and even plan the distance you drive around wildlife parks. Another great option is Kenya where you can throw in a beach holiday at the coastal town Mombasa, and a night or more at the Tsavo National Park, which is about an hour’s drive away. Tanzania is also a good option, but the infrastructure is not as good as that in Kenya. If money is not a problem, Botswana is a great destination where you don’t need lots of driving since most safaris are fly-in. However, make sure that your kids are old enough to appreciate the vacation because of the cost. In addition, most safaris involve traditional canoe rides in the delta region, which can be dangerous especially for small kids. Carry out research on possible activities that will get your kids close with nature. Unfortunately, watching a lion bask in the sun is not one of the most exciting things for kids to see. Well, at least not as exciting as trying to lure an antlion from a pit using just a blade of grass! The safari package you choose will usually depend on your budget. If you are working with a small budget, you can choose to self-drive safari that allows you to get into the African bush using a 4×4 and camp in tents. This option offers you a unique safari experience that’s topped off by animal calls. On the other hand, a self-drive safari means that you will be going to the wild without a professional guide, and you might miss wildlife. When choosing this option, make sure you read as much information as possible on your destination. You should also forget about refueling and instead carry your own since some villages on your map might not have service stations. Driving safari – This is an African safari package where private guides drive you and your family from one reserve to the next. Luxury safari – This is an all-inclusive safari experience where prices cover air-conditioned suites, stylish tents, drinks, tours, and meals. In addition, you and your family get first-rate services, translating to luxury and comfort in the wild. Safaris can drain your body of fluids and salts due to the harsh winds and hot sun; therefore, always stay hydrated by taking in water and fluids with electrolytes and sugars. Remember to carry a pack of wet wipes with you to freshen up quickly from the safari dust. Malaria is a great concern when visiting Africa, so make sure you carry insect repellent and treat all your clothes with bug spray. Before and after the trip, make sure that everybody takes malaria pills. However, it’s recommended that families with 8-year-old and under kids to avoid visiting malaria-prone countries. Finally, ensure that you take steps to prevent illness during the trip. This includes ensuring that you and your kids have all the necessary vaccinations well before the trip. Most people imagine that packs of ravenous lions or hungry crocodiles are Africa’s biggest dangers. They are wrong! In fact, wild animals rarely attack humans. The biggest threats are usually safari scams while traveling through Africa. 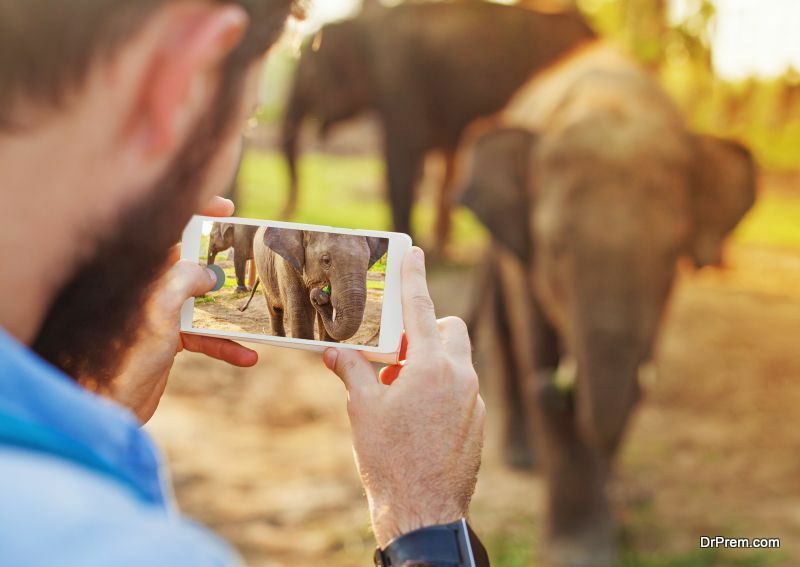 To avoid safari scams, always research the tour package provider through organizations like the American Society of Travel Agents. In addition, look at user reviews on travel sites like Trip Advisor before you book your package. You and your entire family will, of course, need passports to travel to Africa; however, some countries like Kenya require you to have a Visa too. The State Department website is a great tool for getting information on Visa requirements. However, make sure that your passports are valid and apply for Visas at least two months before your scheduled departure date. 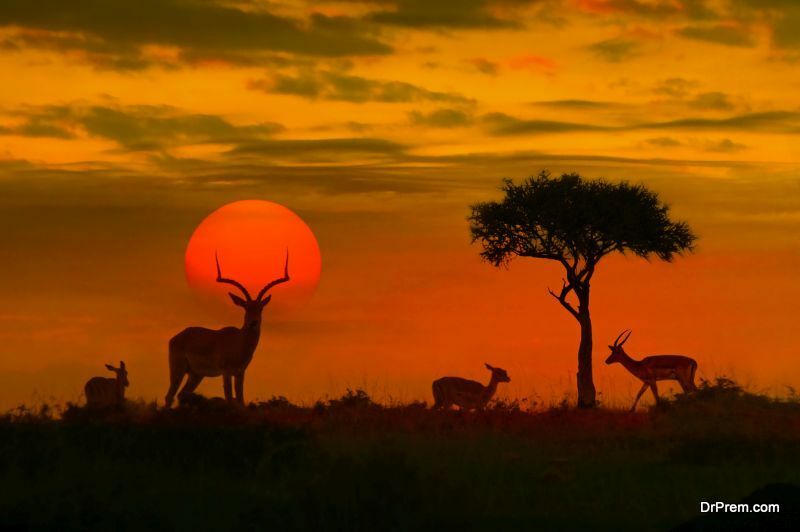 An African safari is the definition of a true adventure – a journey that takes your family to the land where wealthy 13th century traders hunted for wild game trophies for hanging on walls. Today, your family has an opportunity to hunt for memorable photo opportunities filled with scenes that have largely remained the same for centuries!